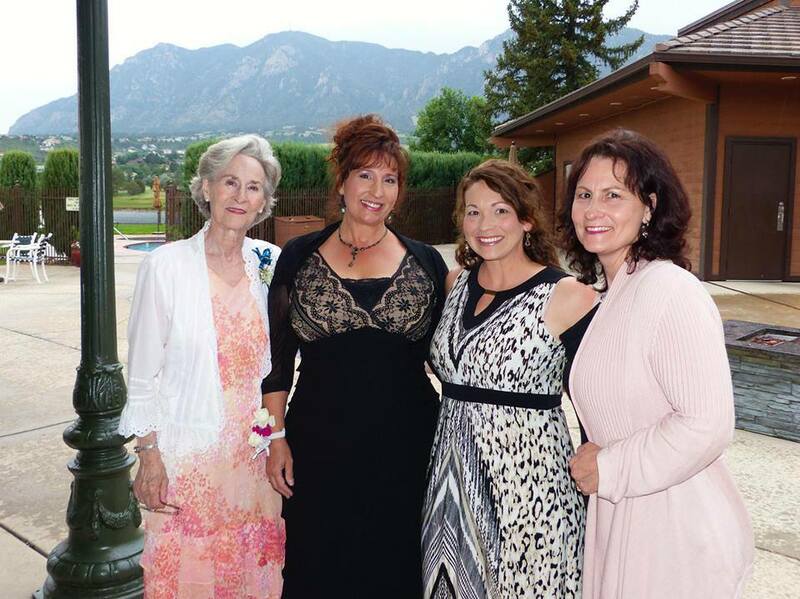 I love this picture, below, of three generations of four of the female writers in our family tree. Lynch worked outside the home also for 21 years as a beautician, but began writing professionally in 1963. Etta Lynch, 77, a college student who has a 4-point average in courses at St. Edwards University, is living a life of freedom after spending most of her adult years as a care-giver for others. She works also as a writer and teacher. “With faith, prayer and determination, any obstacle can be overcome,” she said in explaining why she is enrolled as a college student at 77. Many years after I watched her sign her first book, Help is Only a Prayer Away (Revell), as a 12 year old girl in 1972, Etta would host a book-signing party for Real Magnolias, a book that included a story about Etta and her influence on me. In addition to baking the best pies I’ve ever tasted, Aunt Etta was the first writer in the family. I’ll never forget the pride I felt as a thirteen-year-old girl, watching her sign copies of her book, Help is Only a Prayer Away, at a library book party in Sweetwater, Texas. Aunt Etta noted my mother’s talent for writing and encouraged her efforts as well. Before long my mom was pounding at the typewriter, publishing articles and collaborating on books. 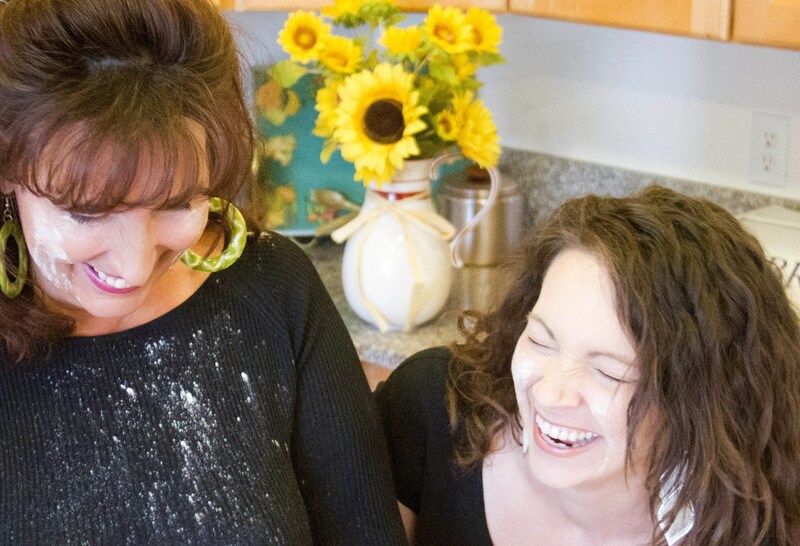 Over the years, my mother passed the humor-cooking-writing torch on to me and my younger sister. 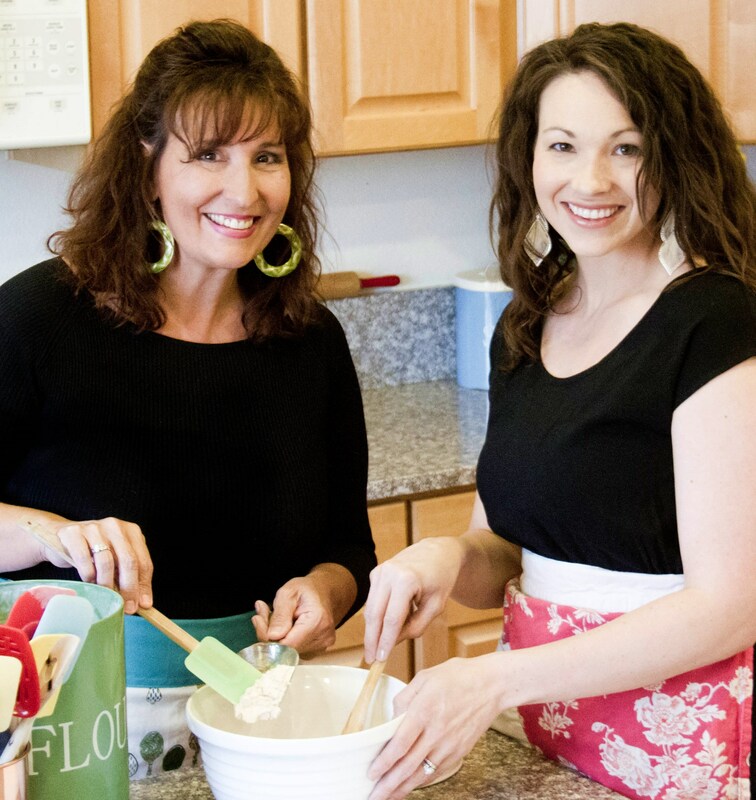 Cooking and serving alongside Mother gave me the skills needed to start a part-time catering business that helped pay the bills in lean times. 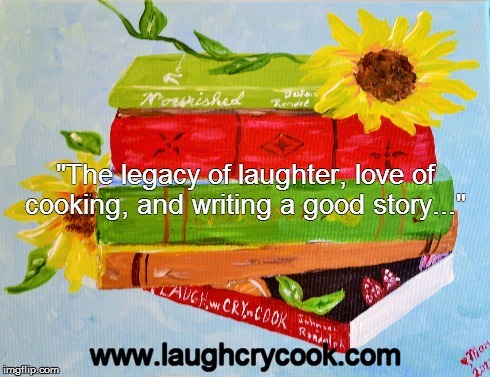 The writing lessons and appreciation for humor she gave me would launch what would be a full decade of speaking, entertaining and writing. My sister, too, for whom my daughter is named, has written and published three books of humor and inspiration. It is interesting to me how many of my writing friends, and great writers, also love to cook and have an appreciation for fine food. Ann Morrow Lindbergh once wrote, “When I cannot write a poem, I bake biscuits and feel just as pleased.” Perhaps there’s some mysterious link between the writing and cooking gene. 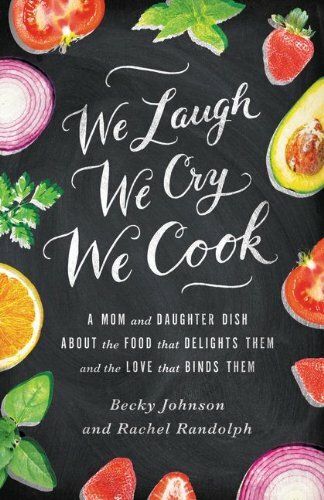 Now I am warmed to see my daughter pick up the legacy of laughter, love of cooking, and ability to tell and write a good story with the best of the women in our family tree. In truth, I have known that Rachel had The Gift since she was a teenager. I just didn’t know when she would be ready to see it, embrace it and share it. The apostle Paul told his apprentice Timothy about the importance of “fanning into flame” the gift of God within him, emphasizing that this gift was passed down from his grandmother and his mother. The word picture that leaps my mind when I read these words is my Nonny putting her arm around my Aunt Etta and my mother; my mother putting her arms around me and my sister, and now, me putting my arm around my daughter to pass along whatever we have to give one another so that each individual woman may use these gifts, in her own unique way, to better enjoy and bless the world. Can you tell I learned how to make Memes today? Thought you might enjoy this quote, above, too. Please feel free to pin, post or tweet! God bless you today with the comfort and joy that books bring to our lives.